Two-time Truffle Masters winner Executive Chef Manabu "Hori" Horiuchi from Kata Robata and his team. 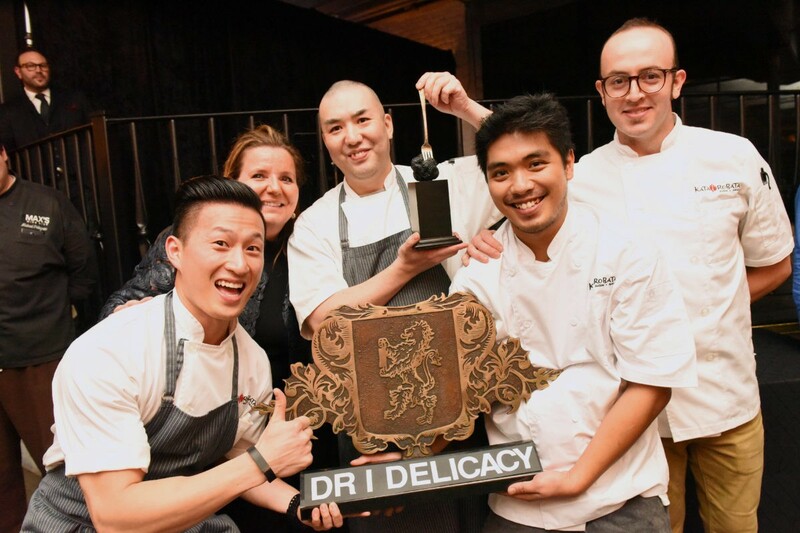 More than 20 of Houston’s top chefs will gather at the Hobby Center For the Performing Arts on Monday, January 16 to prove who can make the most delectable dish with one of the world’s most coveted delicacies: black truffles. It’s the third year of The Truffle Masters competition (formerly named the Houston Truffle Chef Charity Challenge), which features fresh truffles imported from Spain by local supplier and underwriter Diane Roderer of DR Delicacy. The event is also underwritten by Elizabeth Stone of Silver Stone Events and judged by a panel of local food experts that include chefs and food writers. The 2017 Truffle Masters Competition starts at 7 p.m. General admission tickets are $150 while the $250 VIP tickets include a reception an hour ahead of the event at Artista (the Cordúa Group restaurant inside of Hobby Center), free parking, caviar samples, premium wines and cocktails. Tickets are available for purchase online and the event is limited to 450 guests. Classical music group DIVISI Strings will provide entertainment for the evening. All proceeds will fund scholarships for culinary and hospitality students. According to a press release, the proceeds from the 2015 and 2016 events totaled $40,000 and were awarded to 25 Culinary Institute LeNôtre and University of Houston students.